A new mungbean variety, Jade-AU , promises to boost yields by 12 per cent over the popular Crystal variety and is expected to deliver up to an extra $100 per hectare for growers. Launched at the GRDC-sponsored Australian Summer Grains Conference in June and available now in limited quantities, Jade-AU is also more resistant to the foliar disease powdery mildew, while offering the same proven grain quality and agronomy. Jade-AU beans are large, green and shiny, which are the main traits favoured for export. Col Douglas, lead researcher in the National Mungbean Improvement Program, Department of Agriculture, Fisheries and Forestry Queensland (DAFFQ), says Jade-AU has been tested for the past five years at 40 sites from Capella, north of Emerald in Queensland, down to the Liverpool Plains area of New South Wales. He says it has proven performance across all existing mungbean-growing regions. “Crop sequencing with summer grains can also lift farm profits by adding income and potentially reducing fertiliser and other costs, and obviously an improved yield gives growers a bonus,” Mr Clark says. Grower Xavier Martin, from Liverpool Plains, NSW, echoed Mr Clark’s sentiments when he shared his summer grain-growing experience at the conference. Mr Martin says he has been able to treble return on capital and optimise profitability with mungbeans in the cropping mix. “Adopting new varieties of mungbean such as Crystal has been instrumental to this increased profitability. I anticipate even better returns with the release of Jade-AU ,” Mr Martin says. His farming system was previously dominated by rotations based on sorghum/cotton/sunflowers and wheat/durum. In partnership with DAFFQ, the GRDC has been investing in National Mungbean Improvement Program based at the Hermitage Research Facility for the past 10 years. Increasing genetic diversity is crucial to breeding programs, and one aspect of this is to incorporate new traits such as disease resistance. 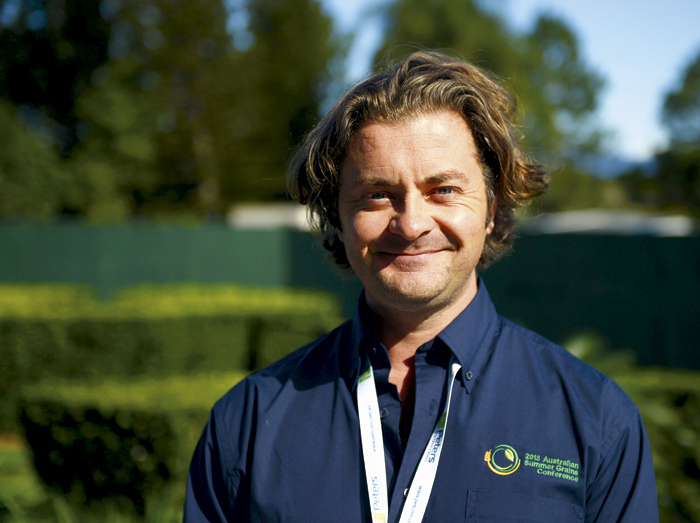 Mr Douglas says: “With additional GRDC investment we’ve recently imported more than 400 new lines from the World Vegetable Center, and from these we’ve found some exciting foliar disease resistance. These traits will be used to develop new varieties in the coming years. Mr Douglas says mungbean plantings have increased in recent years because of increased confidence in better varieties and support information from a proactive industry. 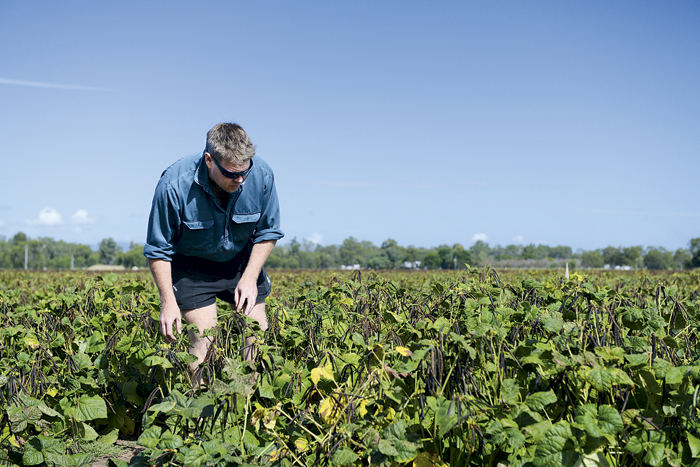 The GRDC is investing more than $3.75 million over the next five years in the Northern Pulse Agronomy Initiative, as well as providing ongoing support for the National Mungbean Improvement Program of more than $1.5 million over five years. 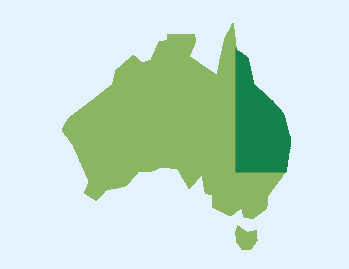 Jade-AU is co-owned by DAFFQ and the GRDC and protected by Plant Breeders Rights. The Australian Mungbean Association (www.mungbean.org.au) is the exclusive agent for its commercialisation, seed increase and distribution to growers. Read this article in GC North; South; West issue 106 - Subscribe and recieve the hard copy of GroundCover in your mailbox for free, remember to select 'Post' as your subscription method.